Loudoun County Attorneys > Our Firm > Elton Van Welton, Esq. 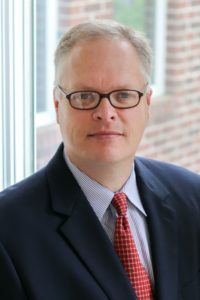 Elton Van Welton is an Of Counsel based out of Fredericksburg, Virginia. Mr. Welton focuses his practice on Family Law and Estate Law matters. He accepts clients throughout Central and Northern Virginia. With many years of practice experience, Mr. Welton is a trusted counselor who approaches the needs of his clients with compassion and understanding. In Family Law matters, Mr. Welton strives to bring clarity and peace to crisis situations. He seeks the best for his clients through passionate representation from a Biblical perspective. Through his Estate Law practice, Mr. Welton guides his clients through the often difficult task of developing a complex, yet personalized, estate plan. Whether it is a Will or a Living Trust, Mr. Welton is well-experienced in protecting his client’s assets and helping to secure their legacy with their loved ones. Prior to joining Simms Showers, Mr. Welton served for over twenty years as a minister within the Southern Baptist Convention. Mr. Welton has served as the First Priority Evangelism Director for the Baptist State Convention of North Carolina. He has been appointed twice as a Home Missionary with the North American Mission Board (SBC) and served as a Youth Minister and Senior Pastor for churches in North Carolina and Virginia. Most recently, Mr. Welton served as the Policy and Community Liaison with the Ethics and Religious Liberty Commission in Washington, DC.